'To Wong Foo' is being rereleased with new footage. Will it be a hit in 2019 like it was in 1995? A 15-year-old gay bullying victim died by suicide. Now the community is rallying. The Supreme Court is going to rule on LGBTQ job discrimination. This could end badly. Roseanne complains that she can't say 'f*g.' And did she just come out as queer? Will Colorado be the first state to elect a gay male U.S. senator? 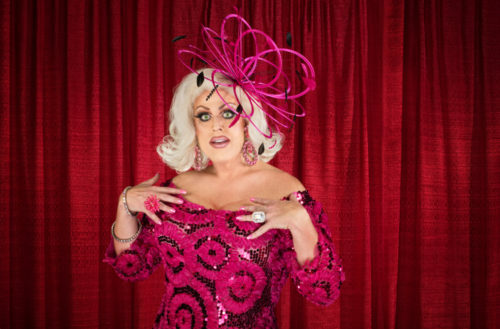 The organizers of Houston’s Drag Queen Story Time project are calling it quits after intimidation and death threats by conservative Christians and nonstop harassment by a religious right leader. Earlier this year, an armed man burst into a Houston library and was arrested after he refused to leave. Lira and Will also specifically finger far right anti-LGBTQ activist Tex Christopher for a campaign of intimidation and legal threats aimed at the library. Christopher’s Campaign for Houston PAC filed a lawsuit seeking an injunction to prevent the event from happening, claiming it violated the freedom of religion clause in the constitution. “Well, the lawsuit I can tell you, is frivolous and without merit. That’s number 1,” Mayor Sylvester Turner told reporters at the time. Turner’s casual dismissal further infuriated Christopher who vowed to spend up to $500,000 on political ads centered on the library’s story hour. The PAC quickly started airing TV ads and mailing postcards aimed at Democrats with juxtaposed images of drag queens and crying children. The Campaign for Houston PAC is the group that helped successfully overturn the trans-inclusive Houston Equal Rights Ordinance in 2015. After James “Doc” Greene Sr., an unhinged Trump supporter, was disarmed and arrested for refusing to leave the library, the two say library staff and parents grew fearful. While the drag queens who read books to children had to apply as volunteers and undergo background checks, one of the first queens to participate wasn’t properly vetted and had been arrested a decade ago for sexually assaulting a minor. “We didn’t know about the conviction prior to last week, but it would have come up if a background check had been conducted. It was a systematic mistake,” Lira and Will write. “What started as a fun community event shared between us, a couple of drag queens and kings, and a few families has become a national controversy. People are being threatened. People are being hurt. We believe in what we’re doing, but we don’t believe in putting our friends, our families, or our children in danger,” they wrote.